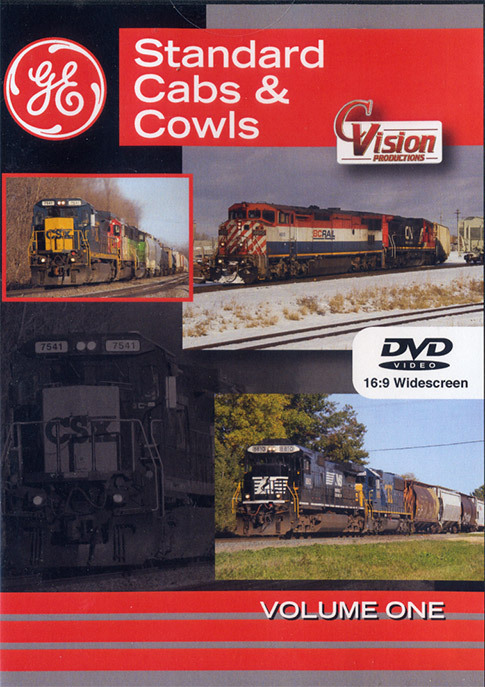 This program from C. Vision Productions features trains led with the endangered GE standard cab and cowl locomotives built between 1987 and 1995. We captured many of these aging units that were leading trains in the years 2012 to 2017. Volume one takes a look at the C40-8�s from the CSX, C40-8�s and 9�s from Norfolk Southern and C40-8M�s of the fallen BC Rail. Several trains are captured throughout the Midwest on both home rails and across the BNSF and Canadian Pacific systems mostly due to the increased crude oil traffic in North Dakota. Just prior to the production of this show, CSX eliminated the C40-8 from its roster and NS was in the process of rebuilding some of theirs while purging the rest. It is a refreshing sight to see BC Rail�s red white and blue cowls traveling across the CN in North America! With today�s trains being operated mostly with the hi-tech wide cabs of EMD and GE, this show brings to life the memories standard cab fans will cherish! 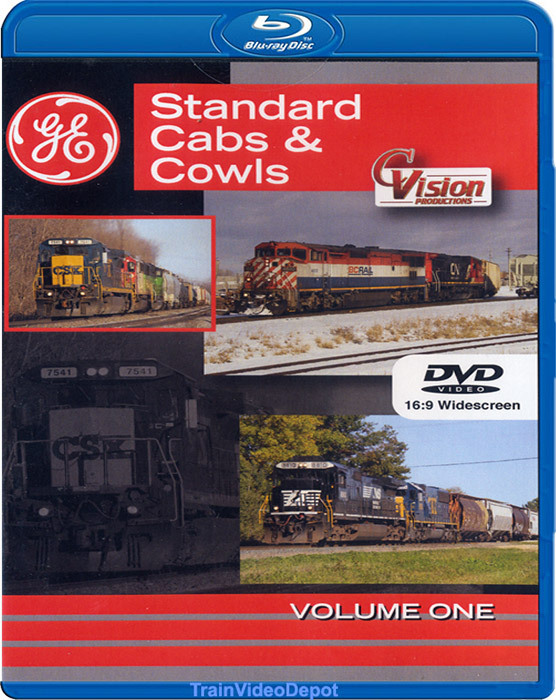 Watch these classic GE locomotives lead trains in �GE Standard Cabs and Cowls�, only from C. Vision Productions! Marion Mann (Little Mountain SC US) on 2017-05-23 15:36:52. As with Volume Two, I purchased this program for the coverage of the BC Rail C40-8M Cowl Units. The Last 30 minutes of this Volume, are dedicated to this Locomotives. Many great shots are included, one with Two C40-8M's with a BC Rail C44-9WL, which has the Canadian Comfort Cab. A number of shots, showing these units switching and slow running. Amazingly the old BC Rail Paint, Looks very good, considering how old the paint is. A really great program. These Cowl units will be missed someday, in a world of Hood Units with Widecabs. Chase Freeman (Grundy VA US) on 2017-05-21 09:16:49. This and volumes two where the first 2 programs I've purchased from C Vision and I'm impressed. In volume one you'll see C40-8s from CSX, C40-8s and C40-09s NS as well as C40-8Ms from BC Rail. If your a fan of older GE locomotives, I highly recommend this program.